Easy cold cucumber soup recipe. 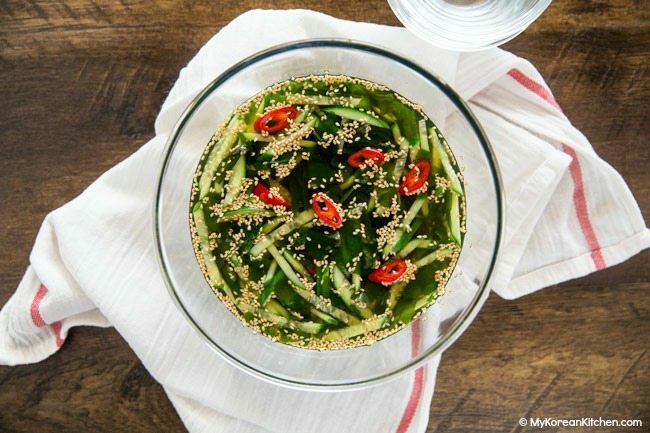 This Korean cucumber soup is a perfect appetizer and side dish particularly during hot summer weather. 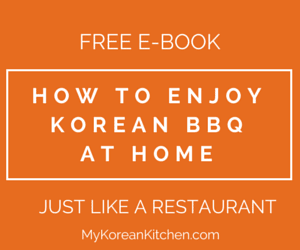 Learn how to make it at home. It takes less than 15 mins! 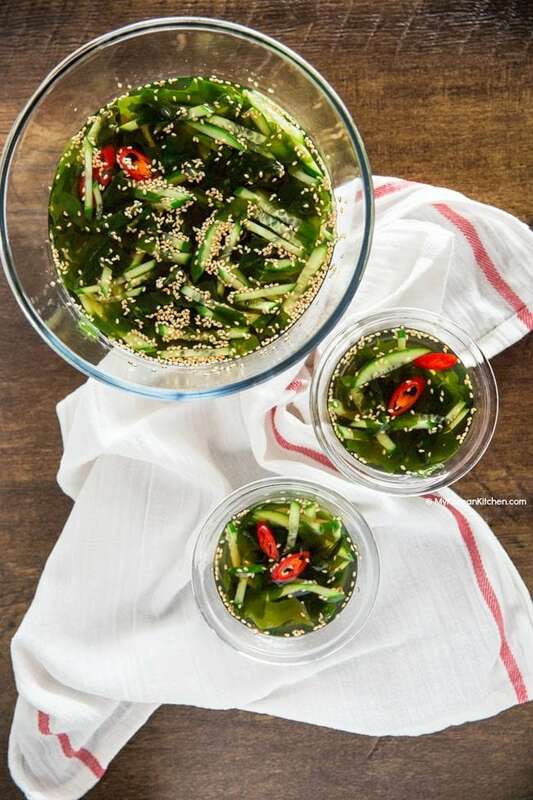 Cold cucumber soup (Oi Naengguk, 오이냉국) is a very popular Korean summer soup. It has a slightly salty, sweet and tangy vinegary taste. 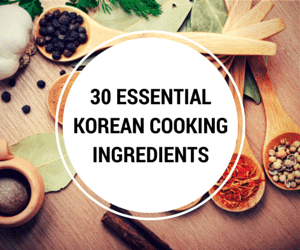 If you ask Koreans, this combination is good for re-energizing and bringing your lost appetite back! 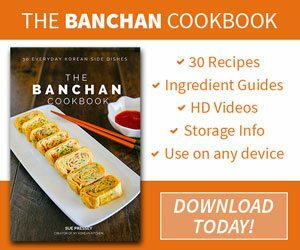 I’ve been testing this recipe over and over since last spring (northern hemisphere fall/winter) and I’m finally sharing it with you! It has everything your spring/summer needs. THE BALANCE! In my cucumber soup, I also add dried seaweed/miyeok/wakame as well. It brings out a nice ocean flavor! Some Koreans add Korean chili flakes (gochugaru) to give a little bit of a spice kick, but I didn’t add those. Anyway, this is an easy and tasty spring/summer soup. Hope you give this a try soon! 1. Soak the dried seaweed in some cold water until hydrated (5 to 10 mins). Drain and squeeze out the water from the seaweed. Set it aside. If your dried seaweed is not already cut into bite sized pieces, cut them now with scissors. I always buy pre-cut dried seaweed for convenience. 2. 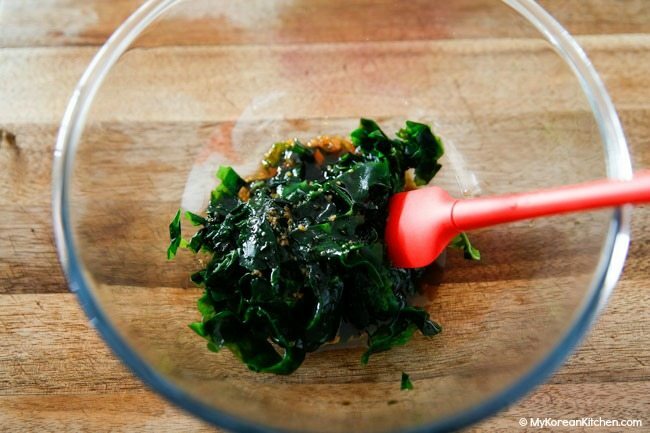 Combine the seaweed and the seasoning sauce in a mixing bowl. Mix them well. 3. Add the cucumber and water into the bowl. Stir well. Garnish with sesame seeds and red chili (optional). Serve cold. (Some people like adding ice blocks, but I don’t like adding them as it dilutes the soup and you will have to re-balance the taste later. If you use chilled water, you won’t need to balance the taste.) It can be stored in the fridge for a few days. 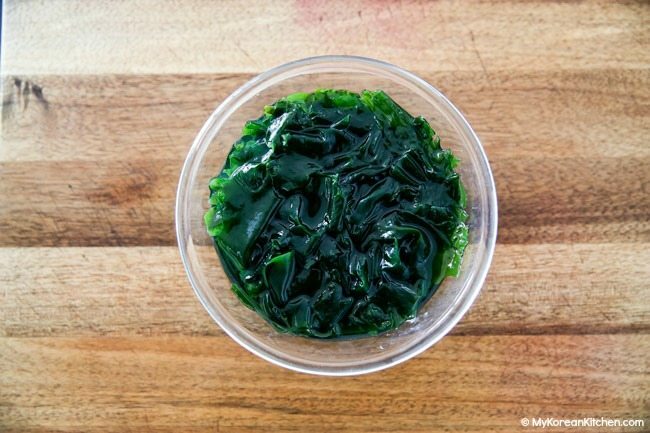 Soak the dried seaweed in some cold water until hydrated (5 to 10 mins). Drain and squeeze out the water from the seaweed. Set it aside. If your dried seaweed is not already cut into bite sized pieces, cut them now with scissors. I always buy pre-cut dried seaweed for convenience. 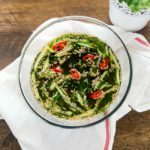 Combine the seaweed and the seasoning sauce in a mixing bowl. Mix them well. Add the cucumber and water into the bowl. Stir well. 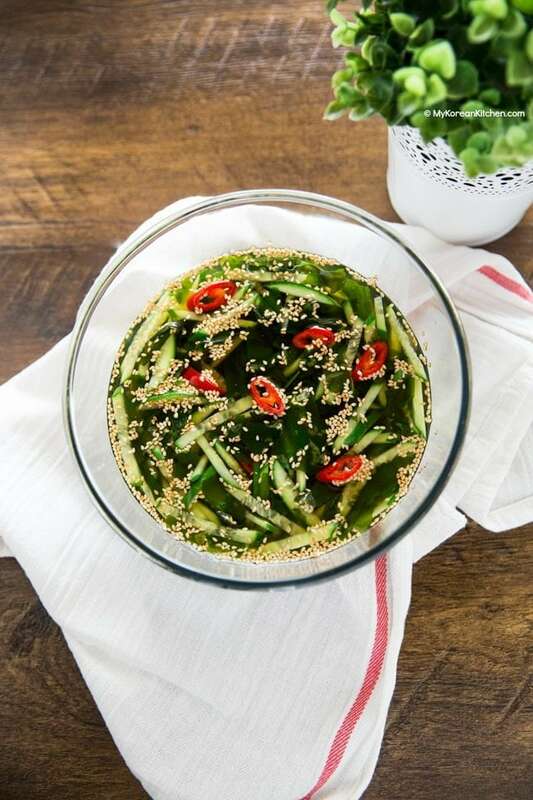 Garnish with sesame seeds and red chili (optional). Serve cold. (Some people like adding ice blocks, but I don’t like adding them as it dilutes the soup and you will have to re-balance the taste later. If you use chilled water, you won’t need to balance the taste.) It can be stored in the fridge for a few days. This soup was also great for our California Passover. Thank you for the recipe. This sounds wonderful! I will be making a huge Easter dinner tomorrow (I’m in the Southern US) but will try this later in the week as I have everything on hand for it already….would it be a bit strange if I added some diced cooked chicken breasts or perhaps some small shrimp to it? We love to have meat in our soups (dang,now I’m thinking some ahi would be good too)! Love getting your recipes! Hope you and your family are having a wonderful and blessed Easter there! Hi Mickey, Normally meat is not included in this soup, so it would look odd to me. But the choice is yours! 🙂 Let me know how you go! Enjoy. This looks delicious. I’ll definitely try it. I was surprised by your comments about “seasonal” cucumber. I’m not sure where you’re thinking of, but all of North America is supplied with every imaginable produce year round by Mexico, California or Hawaii. Europe is the same, supplied by countries like Spain. I’ve been to Australia and it was modern so you can’t be referring to your own country. I wouldn’t hold off on publishing recipes because of an imagined supply issue. Hi Natasha, When I commented about seasonality issue in my newsletter, I meant the cold cucumber soup itself, not the cucumber.